Last week we learned about different types of triangles based on their sides: equilateral=all sides are equal, isosceles=at least two equal sides, and scalene=no sides are equal. Then we practiced identifying, tracing, and classifying the types of triangles on our geometry templates. 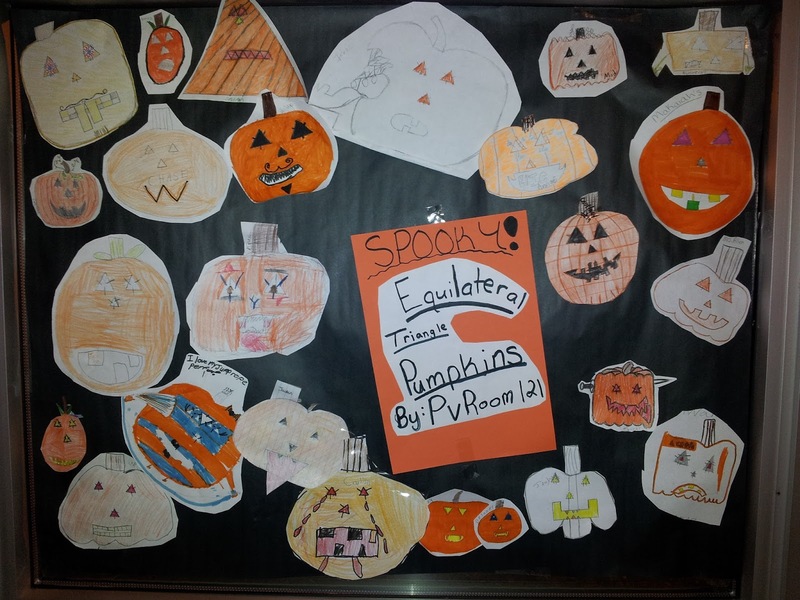 Later, we created these equilateral triangle pumpkins in the math task options station during math workshop, which basically consisted of drawing a jack-o-lantern with at least 3 equilateral triangles--on the eyes and nose. Many of us, however, found ways to incorporate lots more equilateral triangles, though.